1. How Much Can I Withdraw From My Savings Account Without It Being Reported to the IRS? If you have money in the bank earning interest, it can be a good way to make some extra income while keeping your funds safe. Just remember that all of that income is taxable, and that you'll likely get a tax form at the end of the year telling you and the Internal Revenue Service just what you made from your savings and other bank accounts. Interest income is usually taxed as ordinary income, similar to what you are charged on employment income. You'll usually pay regular income tax on any interest earned on your savings account. 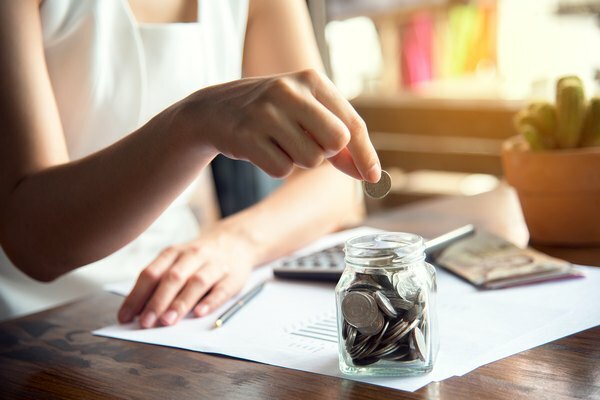 Putting funds in an interest-bearing savings account can be a good way to save for a desired purchase and earn some extra money. Look for an account at a bank you like that pays a good rate and doesn't charge significant fees for how you intend to use it. You'll generally get a statement every month, as well as online data, showing how much interest you've earned on your savings account. Then, shortly after the end of the tax year, assuming you've earned at least $10 in interest from that particular financial institution, you'll receive a tax form called 1099-INT. This will specify how much interest you made from that bank and will also be shared with the IRS. The same principle applies to other bank accounts that pay interest, including checking accounts, money market funds and certificates of deposit. Note that if you have money in a credit union that pays dividends rather than interest, it is still taxed and treated as interest by the IRS. Banks don't normally withhold money from your interest unless there are special circumstances, so you are on the hook for paying any bank account interest tax due on the interest income to the IRS when you file your taxes. If you are getting a refund, the tax on interest income may reduce your refund. How much tax you owe depends on your tax bracket, and the bank can't calculate it for you, since it doesn't know your total income, which is needed to figure out your interest income tax rate. If you forget to include your interest income when you file your taxes, you may need to file an amended return with the IRS later on and pay a penalty or interest. Make sure to watch for 1099 forms in the mail when tax time comes and to contact any banks you think should send you such a form. If you can't get a 1099 from a bank that paid you interest and you think that you are due one, you can contact the IRS for help. One advantage of most bank products over other types of investments and saving opportunities is that they are generally insured by the Federal Deposit Insurance Corp., which covers at least the first $250,000 you have in a particular institution. Credit union accounts are similarly insured by the National Credit Union Administration. If you've received more than $1,500 in taxable interest or dividends in a tax year, you must file a tax form called Schedule B along with your Form 1040 tax return. This form is also used for reporting bond interest and interest paid by overseas banks, which may themselves require additional disclosures. List your accounts and how much interest each paid. Then sum up the total and follow the instructions to transfer the right numbers to your main tax return. One option that can have comparable returns and adds safety to a savings account while also saving on tax is investing in government bonds. Interest on federal Treasury bonds and the short-term federal securities called Treasury bills are taxed on your federal taxes but not by state and local taxing authorities. This can save you some money if you live in a state or a city with income tax. You can buy Treasury bonds and bills through a broker or directly through the Treasury Department. They're considered to be extremely safe investments. Municipal bonds, issued by local governments, are often exempt from federal tax and from local and state income tax in the state where they were issued. This means that it can be more advantageous to buy municipal bonds issued in your state than another state. Municipal bonds are generally considered safe as well, since municipal defaults and bankruptcies are rare. Make sure you understand the fiscal health of a jurisdiction whose bonds you would buy. If you invest outside of traditional bank products, including trading stocks and bonds, you may find yourself reporting capital gains on your tax return. Capital gains come from the sale of investments such as securities or real estate, and if you have held the assets for at least one year, they are taxed at a long-term capital gains rate that's lower than your ordinary income rate. For most taxpayers, the rate is 15 percent, but for some it is 0 percent or 20 percent depending on overall income. You generally report and pay capital gains when you sell a profitable investment, not as it accumulates value over the years. If you lose money on an investment, you can declare a capital loss. A capital loss can offset capital gains or be deducted from ordinary income up to $3,000 per year. Additional losses can be carried over to future tax years to offset more gains and income. Dividends, paid by companies to shareholders as a way to return profits to investors, can sometimes deliver returns at least comparable to interest payments on savings accounts and bonds. While they're not insured against loss, some blue chip companies are fairly stable and unlikely to suddenly lose investor funds. Dividends are often taxed similarly to interest income, in that they're taxed at your ordinary income rate, but some dividends are instead taxed at your capital gains rate, saving you money. Generally, qualified dividends have to be paid by a qualifying U.S. corporation. Certain types of real estate investment vehicles and other entities that commonly pay dividends don't qualify, so make sure you understand whether the companies that you buy stock from issue qualified or nonqualified dividends as part of your investment considerations. If you invest money through tax-deferred retirement accounts such as individual retirement arrangements or 401(k)s, special tax rules apply. This includes investments in bank offerings like certificates of deposit or accounts that pay steady returns such as money market funds, which invest in short-term corporate and government securities. Generally, you do not pay tax on money that you contribute to traditional IRAs or 401(k)s. Instead, once you reach retirement age, you can pull money from the account and pay tax on it then at whatever your tax rate is at the time. This is often lower than your tax rate while working. If you pull money out of such accounts early, you will owe an additional tax penalty as well as the tax on the money withdrawn at your current income tax rate. Roth IRAs and 401(k)s work slightly differently. With Roth accounts, you can put money in after paying tax on it as usual, and once you reach retirement age, you can withdraw money tax-free. That allows your investments to earn interest or otherwise grow in value without incurring a tax bill. IRS: I Received Dividends from my Credit Union. How Do I Report this Income? Investopedia: How are Treasury Bills (T-bills) Taxed?